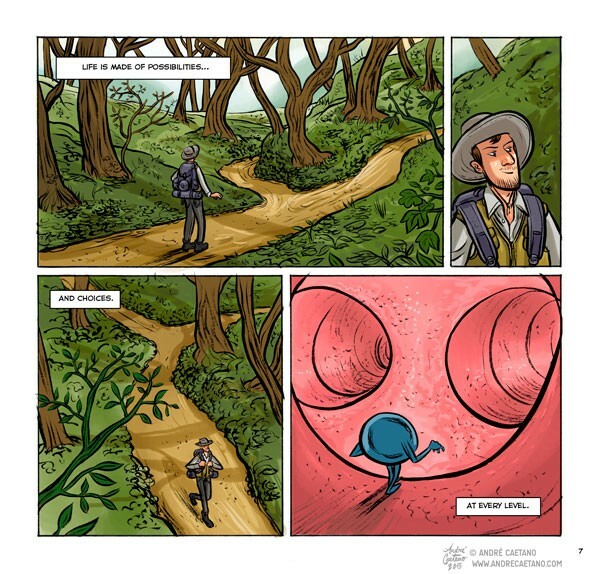 A Stem Cell Adventure is one half of of a beautiful double sided comic book called Uma aventura estaminal (Células estaminais: o que são? Onde estão? Para que servem?) created for the Center of Neuroscience and Cell Biology of the University of Coimbra. 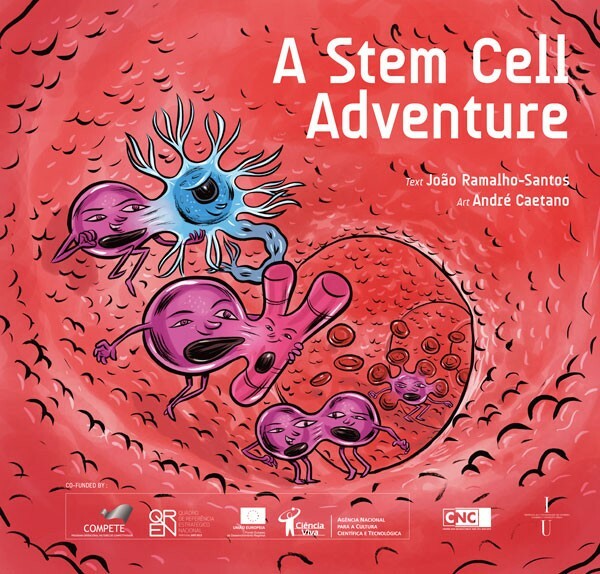 On one side it’s a comic book about stem cells, written by João Ramalho-Santos, illustrated by me, for a younger audience, or to someone who wants to learn about stem cells but doesn’t want to read complex scientific publications. On the other, it’s a collection of scientific texts written by João Ramalho-Santos, Inês Araújo, Luís Pereira de Almeida, Lino Ferreira and Cláudia Cavadas with illustrations by Fernando J. S. Correia, that were published by Diário de Coimbra between December 2011 and May 2012. The project was developed by the Center of Neuroscience and Cell Biology of the University of Coimbra, published by Imprensa da Universidade de Coimbra and 40,000 copies were distributed with each copy of the newspaper Público, in December 5, 2013. In 2014, I was nominated for Artist and Letterer of the Year, and won an award of Colorist of the Year, for the work I did in this book, in the Prémios Profissionais de Bd. 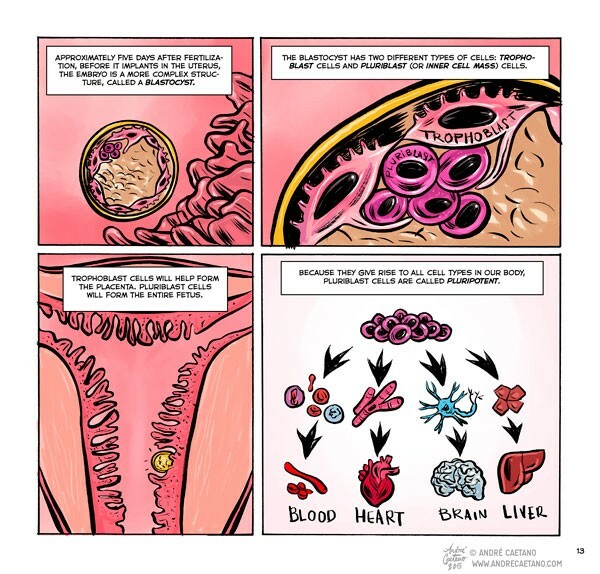 In 2015, EuroStemCell published the comic book on their Isssuu profile, in English and Portuguese. See the link below for the two versions in my blog post.